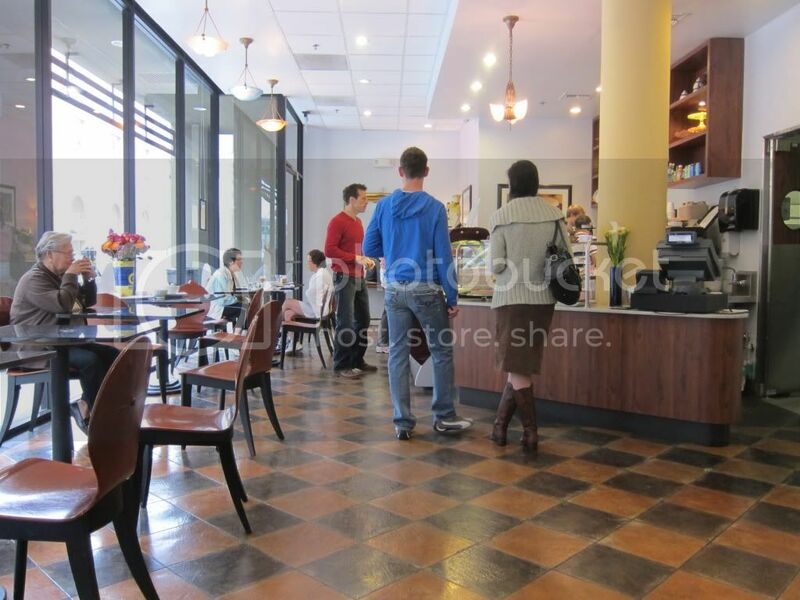 The cute place seems to be a go-to lunch spot for the locals and the prices were pretty reasonable. 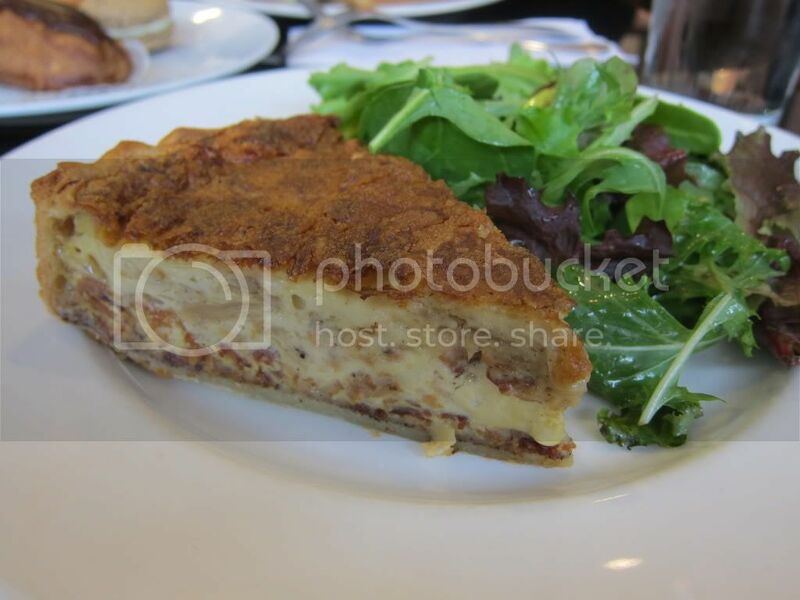 For lunch, I ordered a Quiche Lorraine, which came with a lightly dressed fresh green salad. Delicious, warm, quiche with a soft, flaky crust. 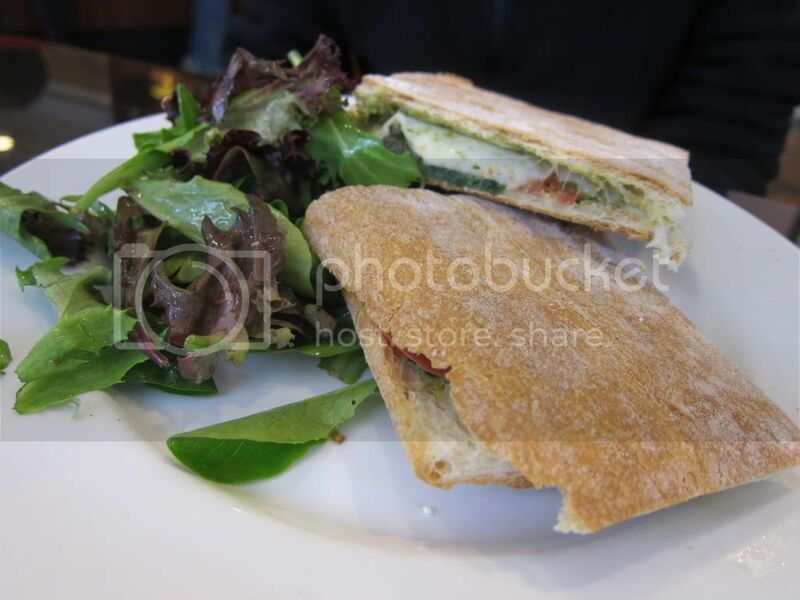 My vegetarian friend got a vegetable panini. I tried a bite and really enjoyed the crunchy bread. I'll have to try a full panini next time I come. 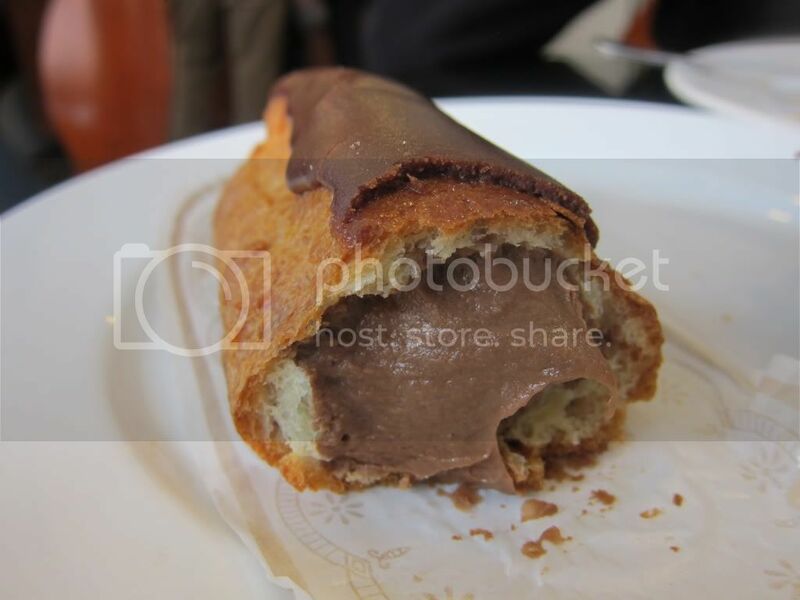 I also tried their eclair, wonderfully filled with a rich chocolate cream. This was definitely one of the better eclairs out there! I brought back some macarons for Wandering Chopsticks. 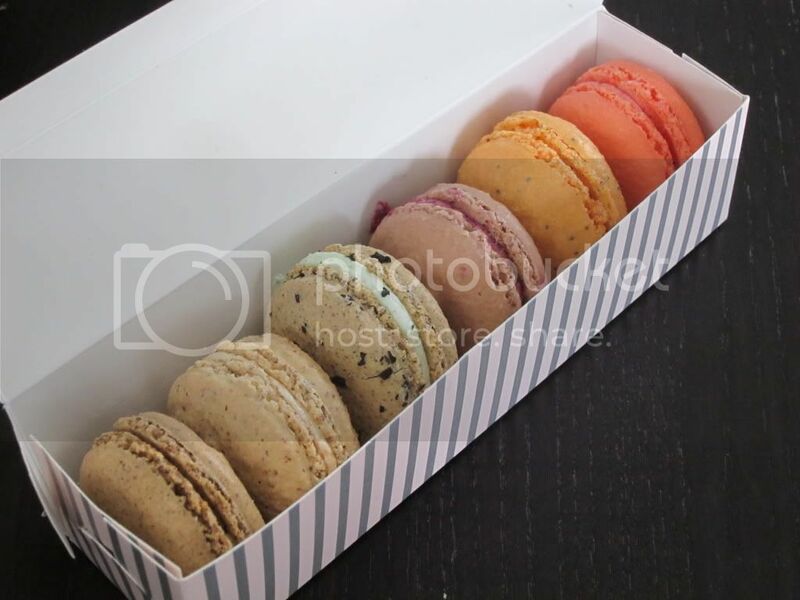 I don't remember what flavors I got but I know earl grey and passionfruit was among them. 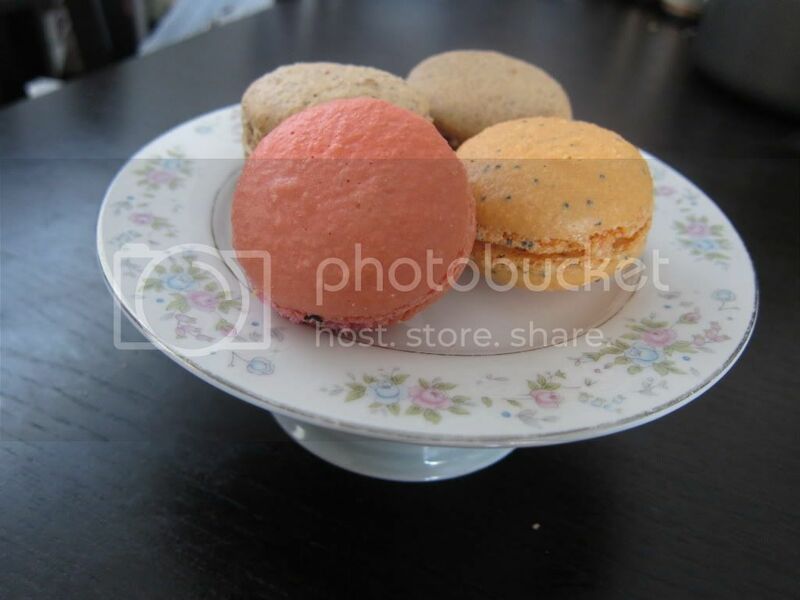 The macarons were richer and denser than the ones at, say, Paulette's, so it may be a matter of personal taste, but I liked them both. These ones are bigger and cheaper, too. Patisserie Philippe was certainly a nice and quiet little spot, with great products both savory and sweet, and reasonable prices. If you're looking for lunch or snacks in SOMA, then do try this place. Mmm. One of my best presents ever. Thanks so much for sharing them!